As your third-anniversary approaches, you may be searching for a great gift for your husband. 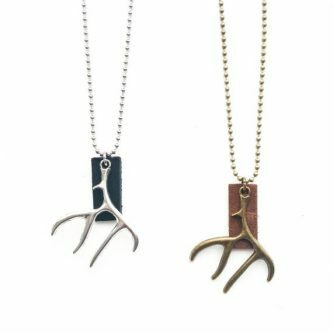 For the leather anniversary, there are a surprisingly large amount of gift ideas to choose from! Start below with the list and see what you find! 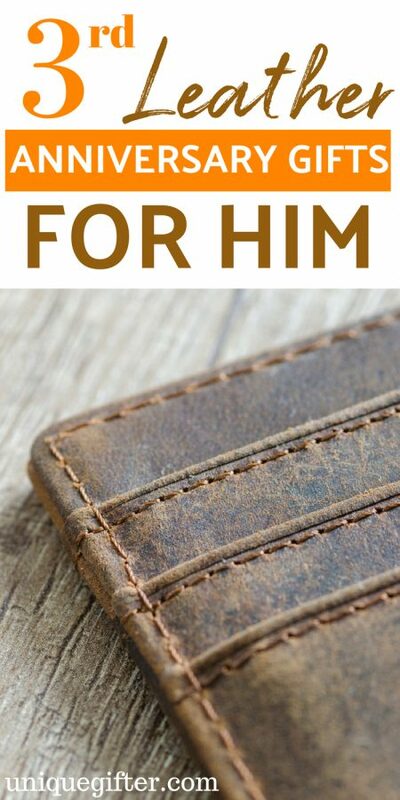 Make this anniversary something to remember with gifts that will make him feel like one loved husband. 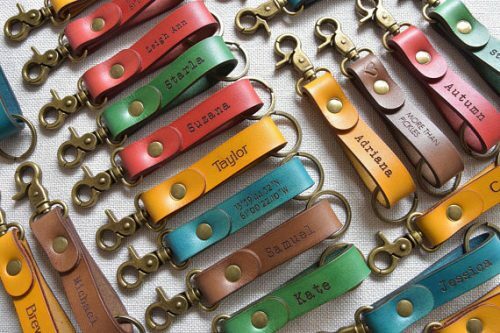 This personalized leather keychain comes in multiple colors, which means that you might even be able to choose his favorite color! 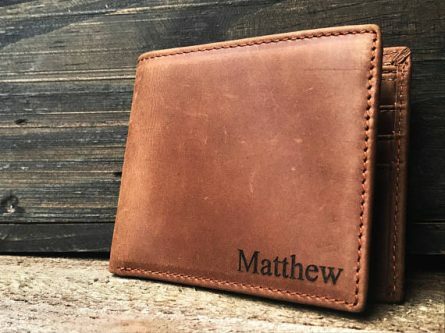 A personalized leather wallet is always a great gift choice. 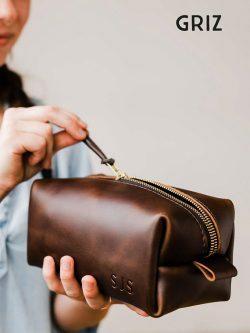 If he, or both of you, travel quite a bit, then he definitely needs a leather toiletry bag with a monogram of his name or initials. 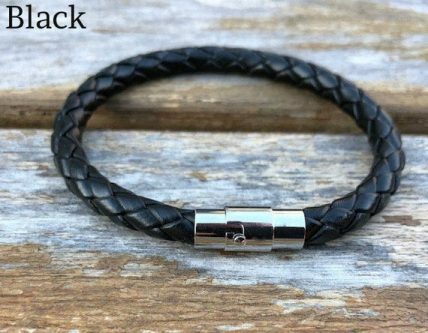 A simple men’s leather rope bracelet, that is easy to put on with a magnetic lock, will look great on his wrist. 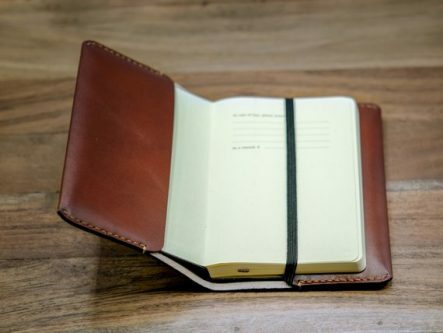 If he has a beloved notebook or does a lot of writing, this leather pocket notebook cover will certainly come in handy. 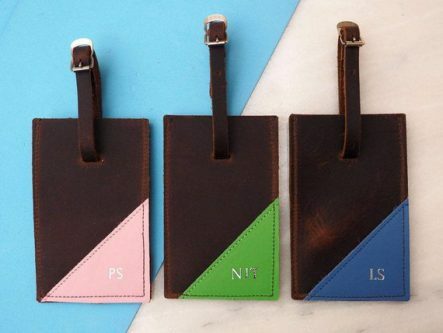 With your choice of colors in the corner of the brown leather luggage tag, and personalized with his initials, he will be all set for travel anytime. 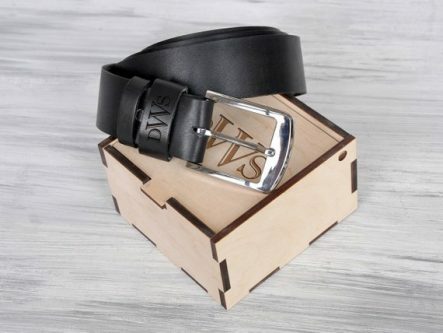 A custom leather belt will help him keep his pants where they should be and in style too! 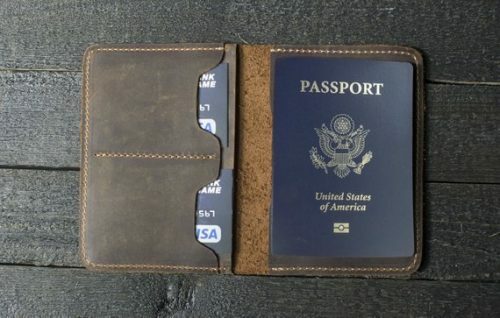 Again with the traveling, this leather passport wallet will come in handy if you two go places where you need a passport… and would also be a great way to announce a trip out of the country too! 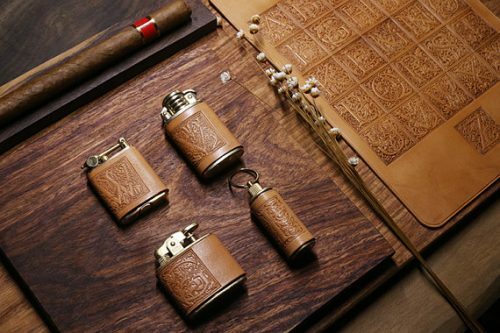 These premium leather vintage-style brass lighters come in three different styles, how amazing is that? 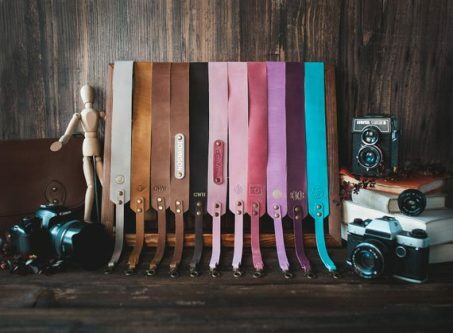 If he loves taking pictures, he needs a leather camera strap that comes in many different colors. The two of you together is always something awesome. 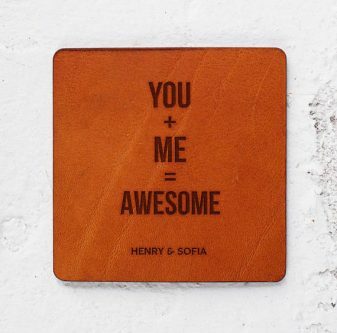 These leather coasters are great to look at and very functional as well. 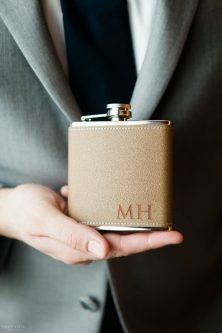 Engrave this leather hip flask with a special word or his name and he will be set! 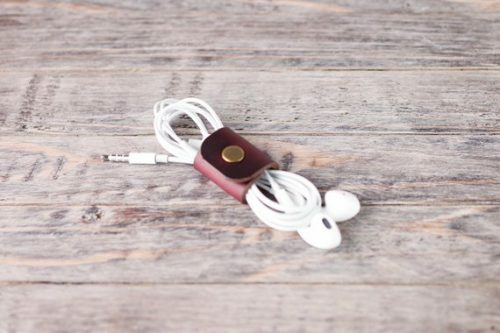 For the music lover, a leather earbud holder will keep his cords from getting tangled or broken as easily. You are his anchor, and he is yours. 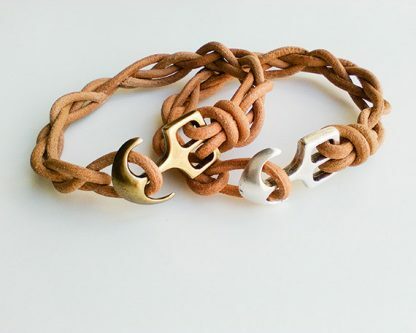 This leather anchor bracelet is the perfect way to remind him. 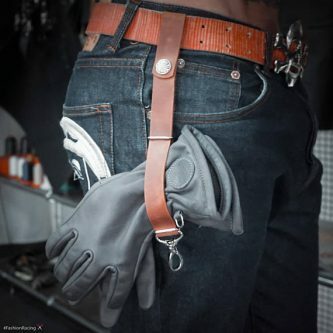 If he does work where he needs to have gloves, this leather belt glove keeper will help him to not lose them on the job. 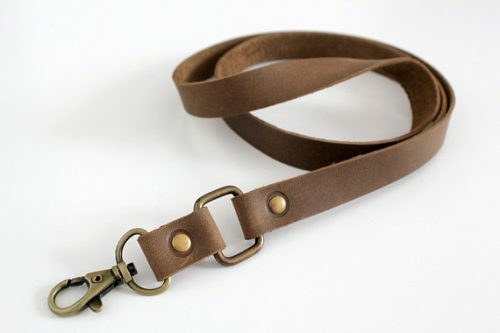 Another great job related gift is this brown leather lanyard for his ID or whatever else he may need at work. Another keychain fob, but with a different style. He will love that it has his own name on it. 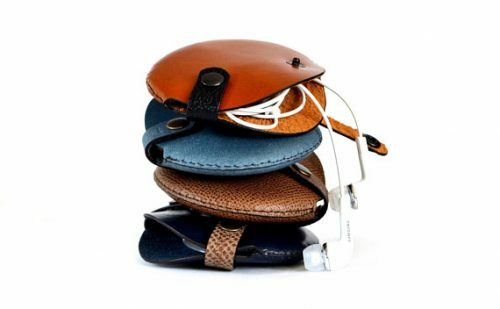 Help him keep his cords organized with a leather cord organizer. Where did you two meet? 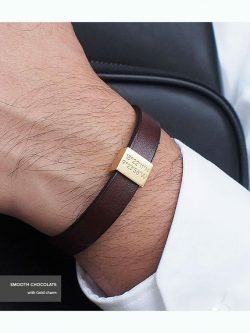 Put the coordinates on this leather bracelet and that place will be etched in both your minds. A manly way to diffuse his essential oils and keep him feeling the best he can feel! 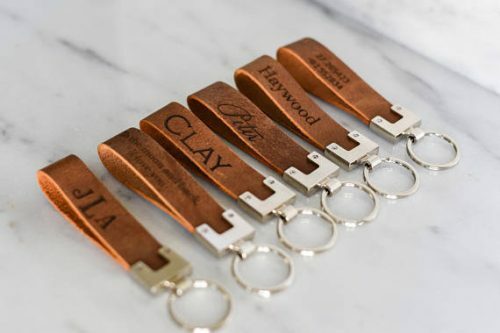 Leather gifts can be fun, as this list demonstrates! Which one do you feel your guy will love for your anniversary?